Sure, there’s Evasi0n for those on iOS 6.1.2 and under, but for those unlucky enough to have either received an iDevice with iOS 6.1.3, or having been forced to update, there is an Untethered iOS 6.1.3 Jailbreak on its way. We’ve heard before that a team called UnthreadedJB, a well known iOS Jailbreak developer, may soon have an Untethered iOS 6.1.3 Jailbreak but there’s a new rumour making the rounds on Twitter about a new developer. A hacker by the name of Winocm sent out a tweet saying that he’s got a binary that can provided an Untethered iOS 6.1.3 Jailbreak. The timing seems slightly odd, given iOS 6.1.3 isn’t exactly a new firmware, but with iOS 7 on the horizon for a September 10th release, it may just be the news people worrying about upgrading were hoping for. However, before you get too excited, Winocm has stated that this binary needs some major work before it’s ready for a public release, and at the moment he says he barely has it working on the iPhone 4, let alone any other device. Hopefully with the opening of the OpenJailbreak project, information Winocm has obtained for the iPhone 4 binary can be used by other contributors to make the release more stable and also universal for all devices. Whilst this is great news, attention cannot be helped but being turned to the usefulness of this Jailbreak. An untethered iOS 6.1.3 Jailbreak is fantastic, but with all the focus on iOS 7, surely efforts are better placed for a Jailbreak that offers a whole lot more functionality. But what do you guys think? 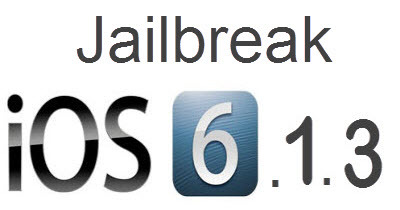 Is an Untethered iOS 6.1.3 Jailbreak something people are waiting for, or would people hold out for iOS 7? Let us know in the comment section below.